Simon Jones Cars is having a huge spring clear out, We have genuinely reduced every car by £500! WAS £11,995 NOW ONLY £11,495 !! Featuring seven seats, nifty styling and a highly practical interior, the Ford Grand C-MAX is a reliable family car that's exceptionally easy to live with. The cabin feels well made and comes packed with an impressive number of features, while the ride is surprisingly engaging for a vehicle of this size. 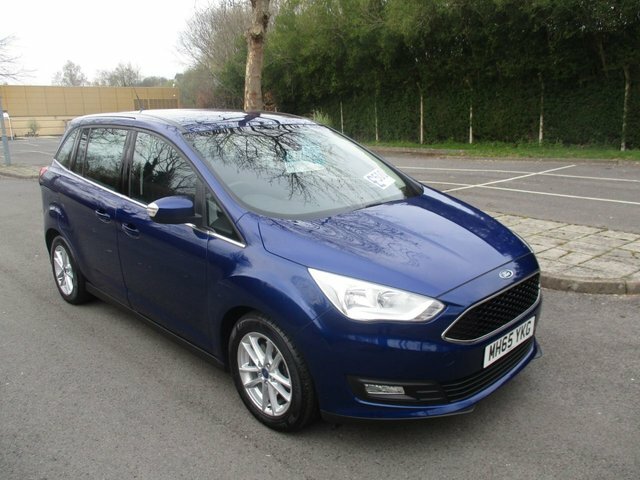 Get behind the wheel of one of the used Ford Grand C-MAX cars for sale in Merthyr Tydfil today. You can contact a member of the team at Simon Jones Cars to arrange a test drive, and rest assured we'll go the extra mile to ensure you find a model that suits your budget and lifestyle. Start your search now by viewing our complete stock online. Finance is available to UK residents aged 18 years or older, subject to status. Terms & Conditions apply. Indemnities may be required. Other finance offers may be available but cannot be used in conjunction with this offer. We work with a number of carefully selected credit providers who may be able to offer you finance for your purchase, commission may be received. We are only able to offer finance products from these providers. Postal Address: Simon Jones Cars, Lower High Street, Merthyr Tydfil, Mid Glamorgan CF47 8EB. Find contact details here.